The scientific and technological developments of the past two decades have seen the emergence of nano and bionano-technologies. New capacities to organize the matter with atomic scale precision have made it possible to create new nanostructured materials (nanosheets, nanowires, nanoparticle-based nanostructures) with new features and improved operating performances. Advanced nanomaterials are expected to bring innovative and alternative solutions to many applicative fields once integrated into functional devices. NEO team has expertise in Models and Technologies for energy-related materials and systems. Design and Integration of Nanothermites for pyroMEMS. Nanothermites offer, beyond their applicative interest, multiple exciting scientific and technological challenges at various scales. Known for their high reactivity, these metastable nanostructures are driven by local exothermic reactions (at the scale of a few atoms) that can generate changes at a larger scale with impact on both the overall nanostructure composition and materials properties. Design and hierarchical assemblies of nanomaterials for energy related systems. Nanotechnologies brought many potentialities as well as challenges in the field of nanostrcutured and multifunctionnal materials and their integration into functional systems. We explore advanced process, supported by modelling tools to proposed innovative systems to produce H2 and heat. both of them in collaboration with Yves Chabal and his research team from the University of Texas at Dallas. 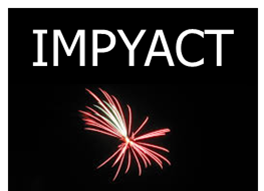 a joint laboratory with LACROIX RUGIERI, IMPYACT.